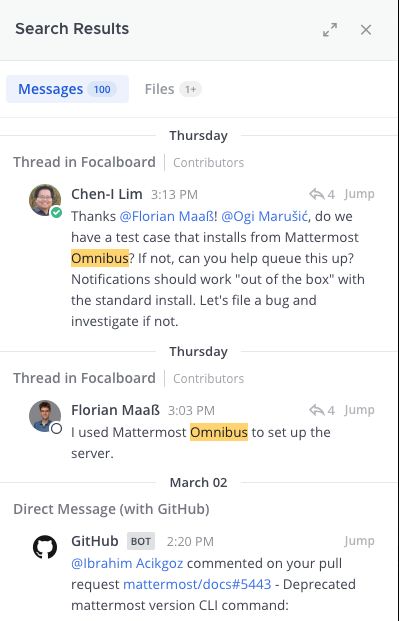 This article covers the basics of Mattermost and gives a general overview of the application to help you start using it the right way. Mattermost is a modern, digital workspace that will help you be more productive in your day-to-day work life. 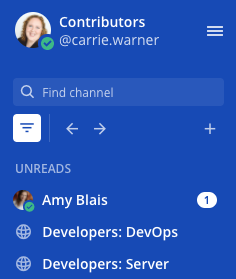 A team is a digital workspace where you and your teammates can collaborate in Mattermost. 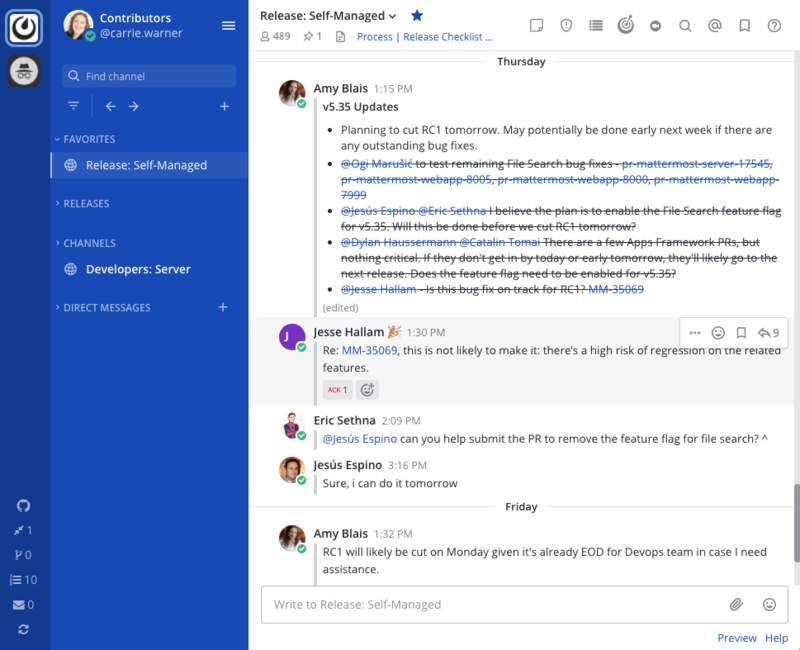 Depending on how Mattermost is set up in your organization, you can belong to one team or multiple teams. You have the ability to switch back and forth between teams on the Team Sidebar, located on the upper left side of the app. Channels are used to organize conversations across different topics. They are located on the left-hand panel of Mattermost. There are three types of channels: Public Channels, Private Channels, and Direct Messages. Public Channels are open to everyone on a team. New team members are automatically added to two Public Channels when they sign up: Town Square and Off-Topic. Public Channels are identified with a globe icon. Click on the More… button at the bottom of the Public Channels section to explore more channels to join! Private Channels are for sensitive topics and are only visible to selected team members. Any member of a Private Channel can add additional members. Channel members can choose to leave at any time, but only the channel owner or Team Admin can remove other members. Private Channels have a lock icon. Direct Messages are for conversations between two people. Group Messages are Direct Messages that have conversations among three or more people. Both are visible only to the people involved. Sending messages and replying to messages are important ways to keep conversations active with your team. You can edit and delete messages after you have sent them. You can also share links to any message in Mattermost. Click here for a complete list of messaging basics with instructions. Use the search box to find messages and replies that match the search terms that you enter. All channels that you are a member of in the current team are searched. You can also do more advanced search using search modifiers here. Notifications in Mattermost alert you to unread messages and mentions. 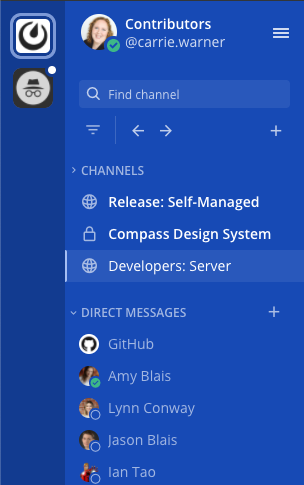 You can configure your Mattermost account for how you want to be notified here. Feel free to view our Mattermost demo video and browse through our full user guide for more information on how to use Mattermost!